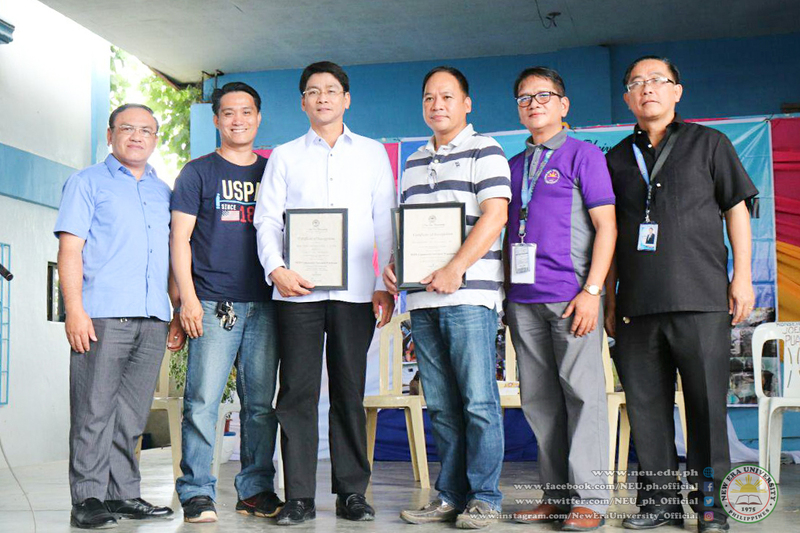 The University's National Service Training Program (NSTP) component continued its selfless service to humanity through the conduct of an Outreach Mission at Barangay Pusil, Lipa City, Batangas on Saturday, March 13, 2019. Bro. Dan De Leon, NSTP Director, and Bro. Eliezer Ortiz, Director of NEU - Lipa Branch, led over 800 First Year College students from the Main Campus and Lipa Branch as they conducted plant monitoring and clean-up activities. In addition, free medical check-ups and therapeutic massage sessions were held at the Pusil Barangay Hall. The NSTP instructors also donated bags and school supplies to the schoolchildren there. A Tribute to the Elders was also held, where the elderly of Pusil were given free meals. The NSTP also extended its services by participating in a clean-up drive at the NEU-Lipa Branch, located at P. Olan Street, Barangay Marauoy, Lipa City, Batangas, later in the afternoon.